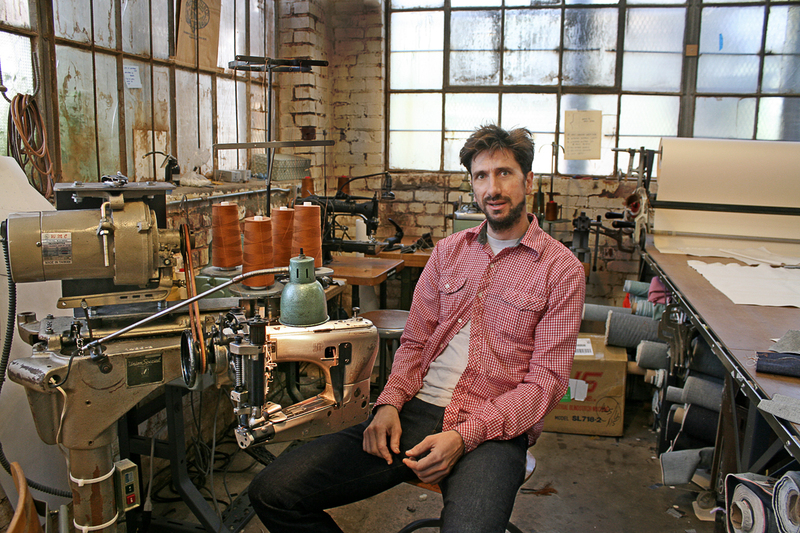 Maker and maverick, Roy Slaper founded Roy Denim from his small apartment in Oakland, California. The operation started off simple enough, with Roy wanting to make himself a pair of jeans from his apartment. From his small studio apartment, it took Roy four months working on the single pair of jeans before he considered them wearable. This quickly turned into an obsession for Roy, who wanted to perfect the denim craftsmanship. After his first pair of jeans, Roy knew he had a lot to learn, so he studied up and gained a truly in depth knowledge into selvedge denim. Today, Roy’s operation is small yet successful. He is a one-man shop, and since he runs the entire operation single handedly, Roy only sells as many jeans as he can make. At the moment, Roy Denim consists of four men’s styles: Roy (the original), Roy KS1001 Kinda Special, The Big Bro and most recently, The Portland Shirt. One of my favourite selvedge denim jeans cutting. 1966 model has a tighter silhouette which kick started the modern style. Worn since 2009. 7 years old. Size 30/32. 9 washes. Inspired by NASA “Spacewalk of Gemini”. 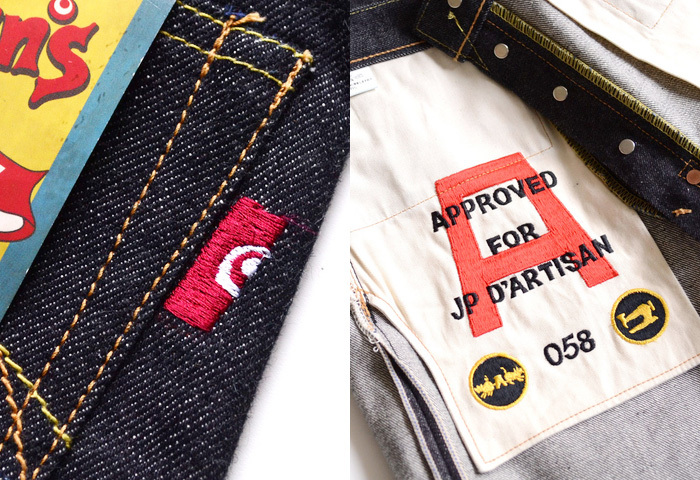 Check out Japanese cult label, Studio d’Artisan & SA, Champloo Jeans 40th Anniversary denim. 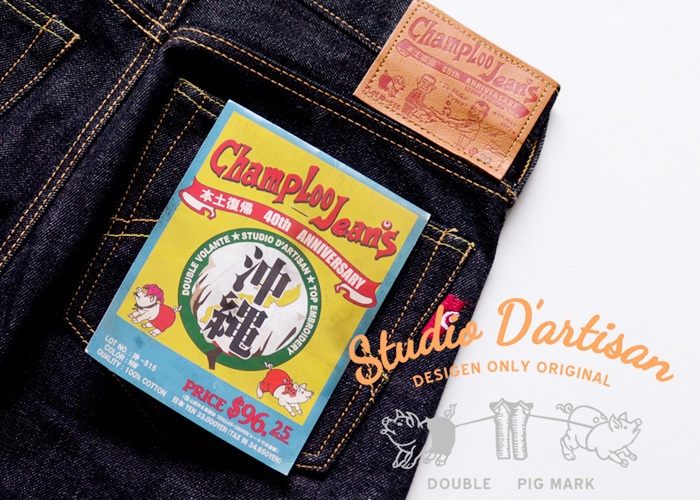 Proudly made in Okinawa, Japan, these pair of denim jeans has the double volante feature with Okinawa Koza Okinawa Te sewing and detailed embroidery in slim straight fit. Enjoy. Well, there you go, you now know exactly how to choose a pair of jeans that are attractive and high-quality, in the right size and cut for your body… But maybe you want to go even further, and learn about the details that real jeans purists – those who wouldn’t think twice about spending $400 on a pair of Flat Heads – fantasize over. 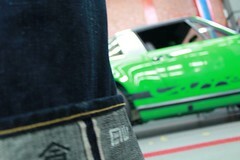 This post will aim to show you the details that are characteristic of a high-end pair of jeans. Feel free to look out for them the next time you go shopping – it’s kind of fun, and you’ll gain a better understanding of the relationship between quality, price and brand. Sometimes, you’ll come across jeans selling at $300, and you’ll find that the price is pretty much justified. Other times, you’ll see that there are some brands that really take us for idiots. Less obvious, but the ticket pocket should also have its own red trim. The ultimate sign of luxury? When the seam that runs through the trim sits precisely in between the blue denim and the red border of the trim. At the top corners of the back pockets, you might notice a diagonal stitch. 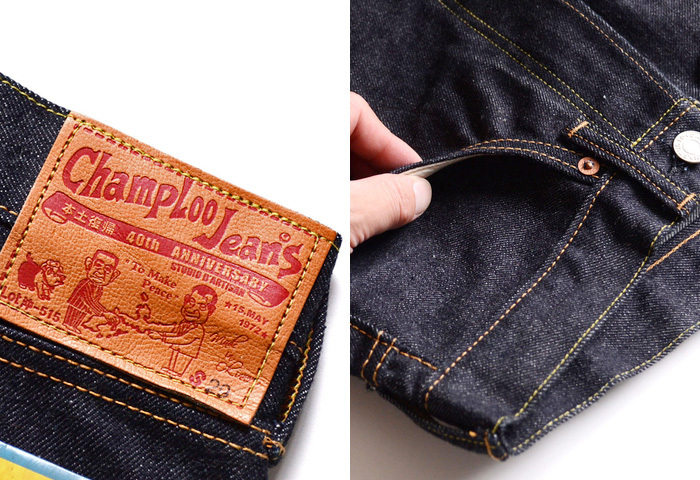 This stitch allows the pocket to remain firmly attached to the jeans, thus preventing premature wear and tear. It’s a sign of robust fabrication. However, bear in mind that some high-quality jeans won’t have this detail. A feature you will rarely see on jeans made by low-end and mass-market high-end brands (Diesel, 7, APC…), lined pockets mean you can keep your keys and cash safe I’ve never seen pockets like this on anything but luxury jeans. 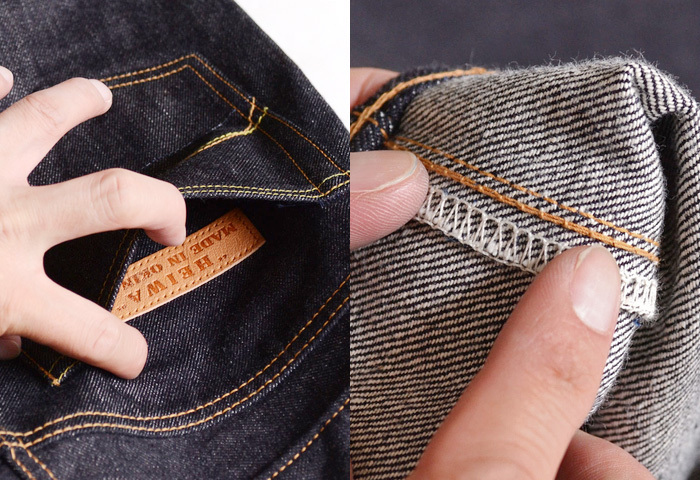 On Rehnsen jeans, half of each back pocket is lined – a nice touch. First of all, a quality pair of jeans has rivets hidden inside the back pockets (visible in the photo above). This is a very easy detail to recognize. The ultimate sign of luxury is when all the rivets are made from copper, like they were in the good old days. Fans of vintage men’s jeans love this one. Warning: sharp rivets, like the ones in the photo, as vintage as they may be, might scratch your mobile phone if you keep it in your pocket. This applies especially to the rivets inside the ticket pocket. A vintage detail that our friends at redingote.fr dedicated a whole article to. In the photo, you’ll see that the hem on the left is thicker and more prominent than the one on the right. That’s because uses a chain stitch, whereas the hem on the right uses a standard, basic stitch, one that you’ll see on the majority of mass-market jeans. This is another detail that appeals to jeans purists. As with lined back pockets, a fly that is lined is a rare find. If you see a lining like this inside the fly, you are dealing with a very well made pair of jeans. In the photo above, you’ll also note the neatness of the seams. Don’t ask me why they need to be so neat – probably to stop the edge of the fabric from fraying. Similarly, some high-end jeans also have braids on the inside edges of some sections of fabric. The aim of this post isn’t to turn you into a jeans fundamentalist. And, if by some miracle you come across a pair of jeans that features all the details above but the cut of a garbage bag, keep walking. At the same time, if you have a small budget and you find a pair of jeans in Zara that are simple and well-cut, don’t be snobbish and tell yourself, “I can’t possibly buy a pair of jeans that doesn’t have a chain-stitched hem”. Bear in mind that you can’t have everything, unless you intend to spend a fortune on your jeans. If the only pair that suits you costs over $200 but isn’t selveged, take it (the aim is still to dress well, not to start a collection of high-end jeans). All the pictures have been taken on my pair of Paul Rose denim. the quality price ration is unbeatable. Note that the style is quite old school though. 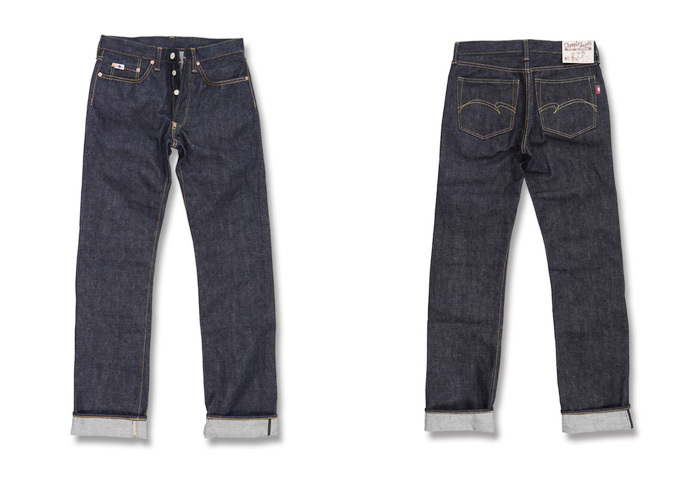 How do you like selvedge denim? Can you spot any of these finishes on the jeans you usually wear? Eternal 883 frontal with repaired knees. Eternal 883 rear with repaired left pocket. This is my most beloved old friend since 2010. Eternal 883. So many stories with him such as working pants, sportswear, overseas travel, weekends to church….